To ease the heartbreak of a disappointing love affair, Rachel Coulter agrees to help locate a suitable English castle for her mother's spa chain. When her tour bus breaks down, she finds the formidable fortress she is stranded in front of houses more than ghosts. Trace Cardiff inherited Farnsworth Hall. Despite the childhood memories he holds close, he must sell the monstrosity before it bankrupts him. When his son’s former nanny, Rachel, shows up, claiming she's in the market to buy, he doesn’t believe her. 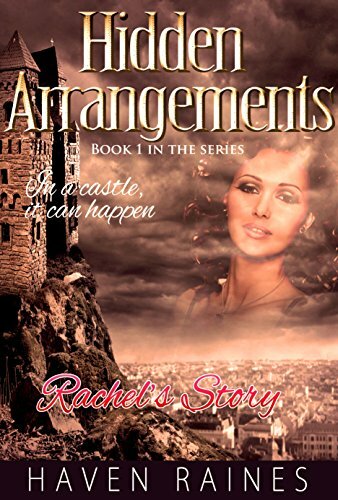 But Rachel's persistence not only stirs all the feelings buried in his heart, it awakens family ghosts who would rather see her disappear...­forever. Caught in a passionate web of lies and deceit, Trace and Rachel must battle their way to the truth. Will the skeletons sleep at last, or will family secrets succeed in driving them apart?